The ever-popular Ken Alford has done it again: this program will help faculty consider different ways to improve the way they collaborate with their colleagues. From teaching to scholarship to service, you’ll receive suggestions for making collaboration more worthwhile and effective, and explore ways to use collaboration to master new assignments, break out of academic ruts, increase productivity, and improve results. Read more about one professor’s interesting experiences with new assignment formats in Chronicle Vitae. We encourage you to consider applying for the ACUE certificate program. If you are not quite sure yet whether this is for you, please join us on Friday, May 3, at 8.30 am in MCL 502 for our Celebration of Excellence in honor of this year’s ACUE graduates. It will give you a chance talk to those of your colleagues who went through the ACUE experience, find out more about all our other programs, and enjoy a lovely brunch at the end of the semester. Register Now! You can find more information and this year’s ACUE application form on our website at https://www.twu.edu/cfe/acue-certification. 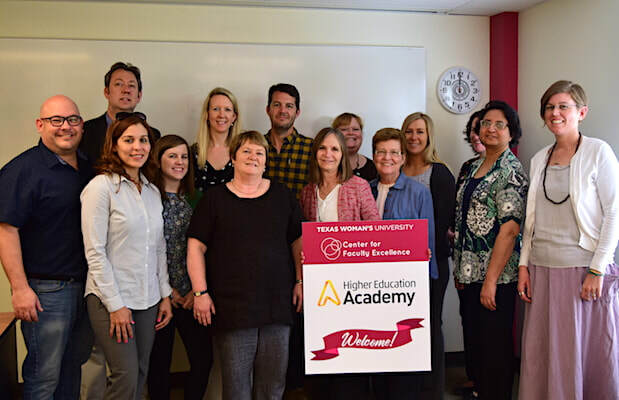 From April 10 to April 12, Professor Vicky Davies, Academic Lead and Accreditor for the Higher Education Academy, conducted a series of workshops for us at Texas Woman’s University and provide a detailed overview of the HEA Fellowship process including writing tips and guidance. The workshop was well-received and intensive, and some of our participants are already well on their way to apply for the appropriate level of fellowship. Thank you to all who attended and to Vicky who came all the way from Ireland to work with us. ​Have an excellent week, everybody! The Internet has removed many obstacles to communication and interaction. 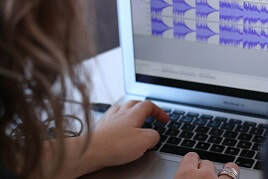 However, when websites, technologies, or tools are poorly designed, they can create barriers that exclude people with disabilities from using them. Spend a few valuable minutes to learn how accessibility lowers the barrier to entry by providing equal access and opportunity to people with a diverse range of hearing, movement, sight, and cognitive abilities. Part 1. What is Accessibility? -- a good introduction for everybody. You are invited to sign up for one of the "How to Nvivo Workshops," taking place April 17th on the Denton Campus. These sessions will be presented by Karina Donald, CRDA qualitative consultant. If you wish to attend, please use the link below to register for the session that works best for you. Location and any further information will be included in your Outlook Calendar invite. The deadline for submitting an application for our next ACUE cohort is May 17th, 2019. The opportunity to participate in this program will be offered to selected candidates at no cost to them or their department and underscores our campus commitment to faculty and student success. You will need your AC Leader’s and your Dean’s approval and signature, so do not wait too long. You can find more information and this year’s application form on our website at https://www.twu.edu/cfe/acue-certification. TWU faculty is once again invited to participate in OLLI at UNT (formerly Emeritus College), and the program is currently accepting proposals for the Fall 2019 semester (September, October, and November). Whether you’ve retired from teaching and are looking for an opportunity to continue sharing your knowledge or you just happen to have expertise in a field you’re passionate about, you are invited to submit a Course Proposal Form on the website at https://olli.unt.edu/teach. The form allows you to indicate when you’re available to teach a course and to select your preference for any of the 5 classroom locations. The deadline to be considered for the fall semester is Wednesday, May 15th. Please consider sharing your academic passions with OLLI at UNT members. Quite a few TWU faculty members have taught classes for OLLI and enjoyed the experience. Tomorrow – please come if you can! ​Have a good week, everybody! The latest installment in our series of academic insights and testimonials was recorded by Liz Kim, Assistant Professor in Visual Arts. She talks about how the CFE helped her critically reflect on her teaching based on her involvement with the Authentic Assessment Collective. Please join us for a webinar and discussion on “Challenge, Connection, Collaboration: Identity, Religion, Diversity, and Interfaith Cooperation,” on Tuesday, April 16, at 2:00 pm (CST). The event will be hosted by the CFE in Stoddard Hall 308 and moderated by Claire Sahlin, Associate Dean for Academic Affairs in the College of Arts and Sciences as well as Founding Chair and Program Director for the Department of Multicultural Women’s and Gender Studies. ​Exposure to traumatic events can affect learning, behavior, and relationships. Multiple traumatic events or chronic experiences that are experienced as physically or emotionally harmful or life threatening can impair executive functioning and can culminate in lifelong challenges. A traumatized student’s primary need is a sense of safety. Take a look at this Faculty Focus article to find out how to provide it. University Advancement is looking for volunteers to work the TWU Beverage Booth at this year’s Denton Arts and Jazz Festival. This event functions as a fundraiser for the University with all proceeds going toward Leadership Scholarship Students. You can find all available time slots listed on the sign-up page, so please act fast to ensure you get the shift(s) you want most. Come by yourself and meet new people, bring your friends, bring the whole department! Faculty members on today’s campuses juggle many duties, but one thing is constant: working with students. And professors today believe that the best — and worst — part of being a professor is dealing with the students. To learn more about how faculty members view their jobs, take a look at The Chronicle’s latest data interactive. You’ll gain insight into what factors affect professors’ feelings toward students and how those factors vary by academic discipline, salary, and tenure status. Our very own Angie Fielder, Administrative Assistant in the CFE and TWU Alumna, was selected to receive this year’s Deborah A. Brown and Mona S. Hersch-Cochran TWU Alumni Volunteer Leadership Award for her outstanding and never-ceasing contributions to TWU activities, acting as an enthusiastic torchbearer for the institution, its mission, and our whole campus community. Please join us in congratulating her on this well-deserved honor! The official award ceremony will take place on April 11, 2019, starting at 2.30 pm in the Blagg-Huey Library Living Room. We hope many of you can make it to this event to celebrate all of our excellent and award-winning staff, students, and faculty. Happy Wednesday from the CFE! The newest installment in our series of academic insights and testimonials was recorded by Dr. Stacy Greathouse, instructional designer in the Office of Teaching and Learning with Technology (TLT). She talks about how the CFE provides access to a plethora of (writing) resources, and how one of her professors gave her valuable advice when to get started on academic writing. For the fourth time the CFE organized an immersive writing workshop in collaboration with the Textbook and Academic Authors Association (TAA). Our participants were excited about the strategies introduced to them by presenter Erin McTigue and about having an opportunity to work together and form partnerships. You can find out more about our on-going academic writing initiative at http://cfe-writing.weebly.com. ​For their final projects, Professor E. asked her students to write an essay illustrating the connection between chemistry and biology and the impact of these sciences on industry and society.She thought this type of project would be very appealing to students exploring the natural sciences at the college level, but was startled by what she received. Many of her students chose poor concepts for their papers and failed to execute reasonable ideas. Papers were organized poorly and lacked necessary citations and connections to literature in the field. Does this sound familiar? How could Professor E. have avoided this problem? Where did it all go wrong, and what might she do differently next time? 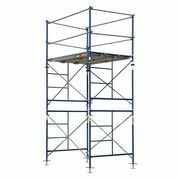 Find out in this article on the concept of scaffolding, an instructional strategy to provide students with a framework that guides and supports their learning. FYI: We will investigate this concept further in an upcoming workshop (date tbd. ), stay tuned and keep an eye out for announcements. 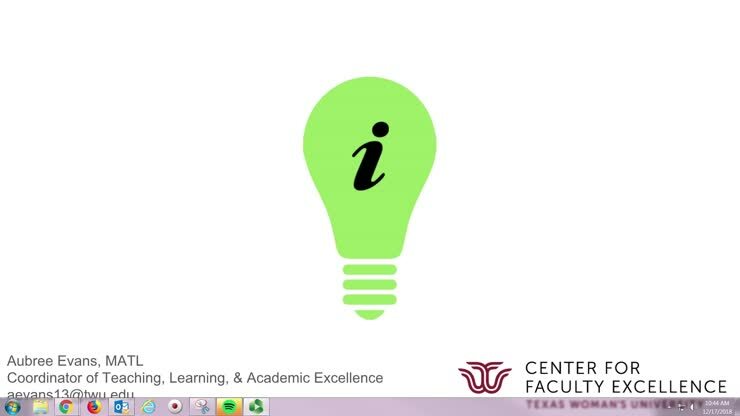 To be considered, submit all application materials electronically to Dr. Jörg Waltje, Executive Director, Center for Faculty Excellence (jwaltje@twu.edu), by 5:00 pm - Friday, April 5, 2019. Please feel free to get in touch to discuss your project and application before submission. As a TWU employee you have *free* access to Lynda.com (aka. Linkedin Learning) which offers you a plethora of self-guided online training courses. We will point out interesting classes every now and then to help you simplify your personal and professional life, and because we are nice people who would like to make sure you are aware of all the helpful resources our organizations has subscribed to. Many of us are concerned about the lack of time in our busy lives and report feeling overwhelmed at times. This series on “Time Management” might help a bit: “Efficient Time Management” with Chris Croft. Log in by using you regular TWU credentials from any campus computer or go here to find off-campus access instructions. The CFE will be on your campus next Monday, April 1. Drop Dr. Waltje a note at jwaltje@twu.edu to arrange for a meeting, or catch up with him in the Library on the 6th floor. Welcome back from the CFE! We hope you had a good break and are ready for the second half of the spring semester. The CFE Crew did some traveling, too. Aubree Evans accompanied a group of TWU faculty to the UCO Transformative Learning Conference in Oklahoma City, and Jörg Waltje had an opportunity to drop in on the HEA while visiting his daughter in the UK. 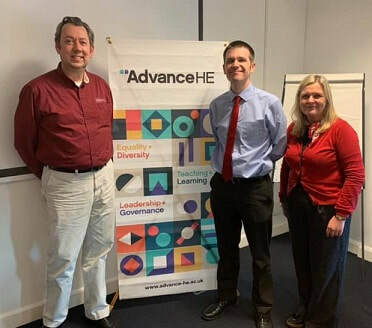 Jörg Waltje with Ian Hall and Louise Lumsden at HEA/Advance HE Headquarters in York, England. 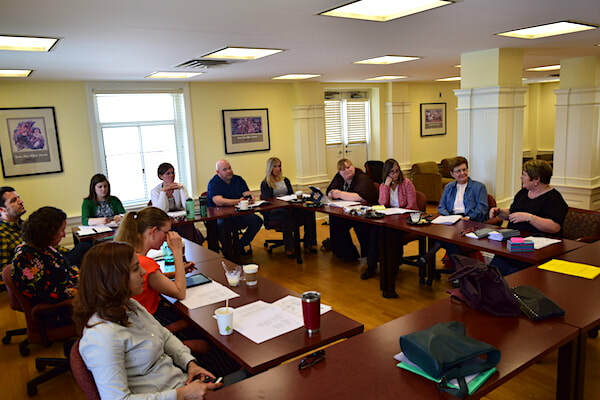 As you already know, the Center for Faculty Excellence is collaborating with the Higher Education Academy (AdvanceHE) to prepare the second cohort of our faculty to apply for HEA Fellowships. It’s our fourth time– the popular writing workshop the CFE puts up in collaboration with the Textbook and Academic Authors Association (TAA) will happen on Friday, March 22 this year. Last chance to register: now! New dates have been announced. The Office of Undergraduate Studies and Academic Partnerships would like to invite energetic and dedicated faculty to serve as instructors for UNIV 1231: Learning Frameworks in fall 2019 as a part of the First-Year Experience. Please consider applying to serve in this critical role for incoming first-year students. The Application for UNIV 1231 Instructors is available online. You will be prompted to log in with your TWU credentials and once you complete the application you will receive an email confirming the submission. If you have any questions regarding the program or position please do not hesitate to contact Dr. Michelle Buggs, Director of Undergraduate Academic Programs. The CFE will be on your campus next Monday, March 25. Drop Dr. Waltje a note at jwaltje@twu.edu to arrange for a meeting, or catch up with him in the Harper Room on the 10th floor. ​The newest installment in our series of teaching insights and testimonials was recorded by Amanda Hurlbut from Teacher Education/COPE. She talks about how the CFE was beneficial for her and how one of her professor’s influenced her and paved the way for her academic career. The Center for Faculty Excellence is collaborating with the Higher Education Academy (AdvanceHE) to bring the next round of “Faculty Recognition Workshops” to TWU in order to prepare the second group of our faculty to apply for HEA Fellowships. Learn (almost) everything there is to learn about Google Classroom Tools and the Google Productivity Suite in a fun-filled environment surrounded by friends and colleagues. Two Days! April 25 & 26 | 8:30 a.m. - 3:30 p.m. Registration is required and will be available until April 1. The Office of Teaching and Learning with Technology is sponsoring the registration for any TWU faculty that would like to attend. Register here -- For more information, contact Teaching and Learning with Technology by email or 940-898-3409. There will be a series of strategic planning workshops for technology@TWU, and you are invited to participate! If you want to participate in one of these workshops, please sign up ASAP. 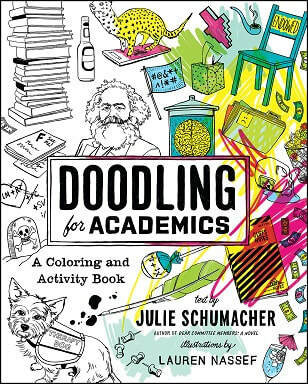 Through forty pages of original illustrations and activities—from coloring to paper dolls to mad libs—this book traces the arc of a typical day on campus. An interactive experience for scholars, the combination of humor and activities in this book will bring academia into entertaining relief, making it the perfect read for yourself, your colleagues, advisors, or newly minted graduates. ​Have a good week and a fine Spring Break! The newest installment in our series of teaching insights and testimonials was recorded by Agatha Beins from Multicultural Women's & Gender Studies. She talks about how the CFE was beneficial for her and what would be the one thing she wants her students to take away from their education at TWU. June 3, 2019 - All courses will be offered in Canvas. No student enrollments will be added to Blackboard after that date. June 15, 2019 - Faculty will no longer have access to Blackboard. Their materials from courses that are currently being taught or that might be taught in the future need to be migrated to Canvas by that date. The Office of Teaching and Learning with Technology (TLT) recommends that faculty get a sandbox in which to place materials for each course under development in Canvas. Sandboxes can be requested by submitting a ticket to the Service Desk. Please include the course numbers in the Service Desk ticket [Example: ENG 1013]. Faculty may have as many sandboxes as needed. Please contact the TLT Office at tlt@twu.edu for more information. 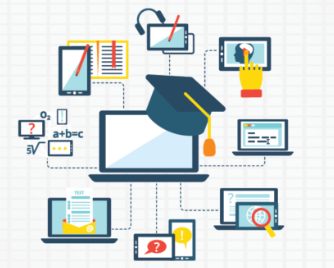 Instructional designers are available to walk faculty through this process. ​Michelle Buggs (Undergrad Academic Programs), Jörg Waltje (Center for Faculty Excellence), and Noah Lelek (Theatre) presented “Starting Fresh: Strategies for Revamping the First-Year Experience Seminar” at the 38th Annual Conference on The First-Year Experience, February 16-19 in Las Vegas, NV. The presenters provided an insight into current research, shared specific elements of the redesigned TWU FYE program (aka. UNIV1231), and identified areas of curricular challenges with an eye towards future improvements to a very appreciative audience of First-Year instructors and administrators from around the globe. Please take a moment to recognize our Staff at TWU! Nominations are being accepted until March 5. Show the people that support you every day some love! Click here to thank them for their Pioneer Proud spirit. Let them know when they provided outstanding service and motivate them to keep up the good work. Registration Open - The “4th Year of Writing and Scholarly Publishing” at TWU! On Friday, March 22 from 8.30 am to 1.30 pm we will celebrate this initiative with another big writing retreat. The Center for Faculty Excellence will host a writers’ workshop entitled "Efficiency with Style: Revising Your Manuscript at the Macro & Micro Levels"
​Have a good week -- and never hesitate to get in touch with us! The Texas Woman’s community lost one of its dearest friends, retired faculty member Dr. Bettye Myers. Dr. Myers suffered a stroke over the weekend and passed away peacefully on Monday, Feb. 18. Bettye Myers, started her undergraduate career in 1943 at a time when TWU was still called Texas State College for Women. She later returned to work at her alma mater and then retired as Cornaro Professor of Kinesiology in August 2015 after 54 years of service to Texas Woman’s University. We had a chance to conduct an interview with her in 2016 and we hope you will enjoy this short clip in which Dr. Myers talks about how she got started at TWU and what she thinks faculty can learn from students. Bettye Myers was a kind, thoughtful, and very humorous person and the Center for Faculty Excellence will remember her fondly. will share their perspectives on the benefits and challenges of making course materials and higher education more affordable and accessible at TWU. All faculty, staff, and instructors are welcome. 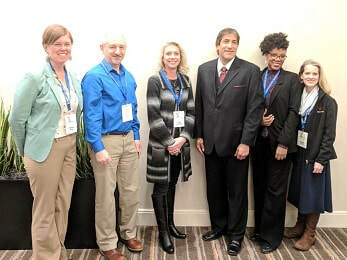 Faculty members from all three TWU campuses who had assignments nominated presented poster sessions at the first-ever STAR Symposium on Thursday, February 14. Congratulations go to the winners of the STAR Symposium awards! 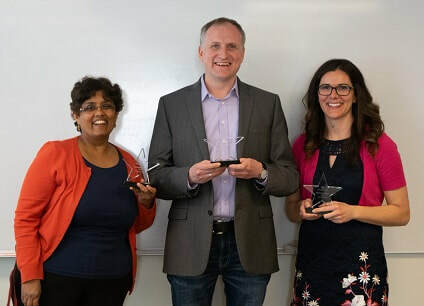 Pushkala Raman won Most Nominations, Sheila Bustillos won Best Assignment, and Alex Pomelnikov won Best Presentation! The student turnout was incredible, and everybody enjoyed the festive atmosphere and the opportunity to learn from faculty and colleagues. You can see all the posters and a video documenting the event at our dedicated STAR website. ​Have a good week and do not hesitate to get in touch with us! The second installment in our series of teaching insights and testimonials was recorded by Mahesh (Michael) Raisinghani from the College of Business who talks about how the CFE was helpful to him and what resources he regularly takes advantage of. Join the Authentic Assessment Collective (AAC)! The AAC is a professional development community for faculty who are interested in bringing more authenticity to their assessments and teaching practices. We’ll meet for the first time this semester on Thursday, February 28th in Stoddard Hall 308 from 12:30-1:30 for lunch and an interactive session on using reflection as assessment. Aubree Evans will be joined by co-presenter, Katie McWain, who is an Assistant Professor in English, Speech, and Foreign Languages and the Director of First-Year Composition. The workshop will include time to create your own reflective assessment and receive peer feedback. This week is TWU Grants Week. You can find all the info about workshops and other happenings across our three campuses on the attached flier, and you can register here. Lest thou forget: STAR Symposium! Faculty members from all three TWU campuses who had assignments nominated will present a poster session at the first-ever STAR Symposium this Thursday, February 14, from 12 - 1 PM. The event will take place in the lobby of the ACT (2nd floor) and is sponsored by the CFE in collaboration with the Pioneer Center for Student Excellence. It’s also Valentine’s Day – come out, bring your students, eat some chocolate hearts and show your colleagues some love. The Teaching Professor has moved into a new online format. Instead of a monthly newsletter it now offers thought-provoking and actionable advice on a wealth of critical topics in higher education on a weekly basis. Cost to you: absolutely nothing! You can access the new Teaching Professor via the TWU Group Account link. ​​Have a good week -- and never hesitate to get in touch with us! In this recorded session Aubree Evans will guide you through teaching with infographics! Aubree earned a certificate in infographics from the Online Learning Consortium in 2015 and has been using infographics in teaching and training ever since. She will give you insight into her infographic collection and explain how to use infographics in syllabi, content, and assessment. Please click on this link or on the image below to access this fine presentation which was done in Panopto. In Fall 2018 students nominated assignments or class activities that helped them effectively engage with course content. 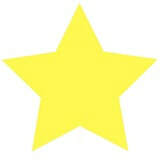 nominations for the STAR (Students for Teaching and Assignment Recognition) Symposium. Faculty members whose assignments had been nominated will present a poster session at the first-ever STAR Symposium next Tuesday, February 14, from 12 - 1 PM. This event will take place in the lobby of the ACT (2nd floor) and is sponsored by the CFE in collaboration with the Pioneer Center for Student Excellence. The purpose of the STAR Symposium is to highlight and recognize the innovative teaching strategies of our TWU faculty. It will also allow faculty to model poster presenting for students. It’s Valentine’s Day, so we hope you will encourage your students to attend, eat some chocolate hearts and vote, and that you will be able to join us as well in order to celebrate the teaching and learning community at TWU. Please keep in mind: The CFE Travel Assistance Fund is set up to enable faculty members to defray some of the travel costs associated with presenting on the Scholarship of Teaching and Learning (SoTL) at professional conferences or with attending meetings that will further your pedagogical development. In both categories the emphasis has to be on pedagogy, not research. The Office of Research and Sponsored Programs (ORSP) runs a separate travel assistance program to assist with the latter. Please check our website at http://twu.edu/cfe/cfe-travel-grants for more detailed information. In case you missed it: On Friday, January 25, Dr. Stephen Chew from Samford University conducted a workshop for TWU faculty on metacognition, successful learning strategies, and current trends and issues in college teaching. 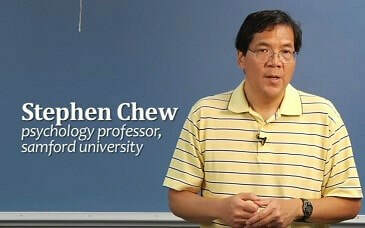 Dr. Chew graciously agreed to have his presentation recorded to share with those of you who could not attend in person. We hope you will enjoy this recording of “Teaching and Learning: Lost in a Buzzword Wasteland,” masterly edited by our Sr. Instructional Producer, Ivan Lee. The teaching-learning-scholarship center at TWU -- bringing you the finest in pedagogical innovation, educational technology, and faculty development.